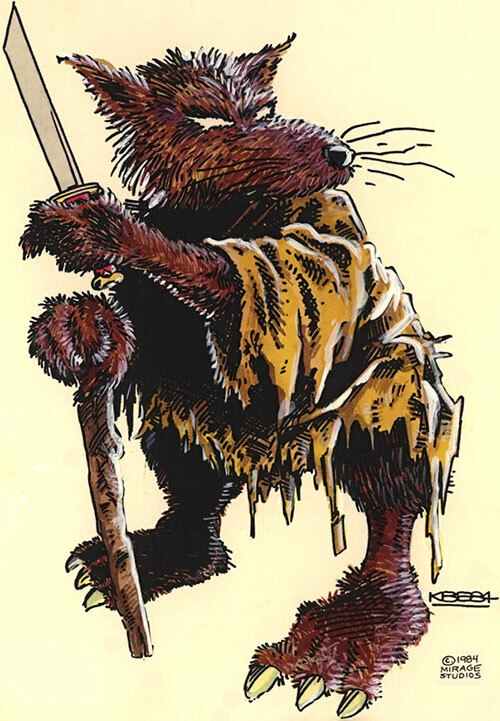 Splinter, the mutated sewer rat, is the sensei and adoptive father of the Teenage Mutant Ninja Turtles. These unexpectedly became huge during the 1990s, and remain a solid #IP and #brand. However, this character profile is about the early days. Namely, the first 21 issues of the original run, wot goes from 1984 to 1989. Known Relatives: Leonardo, Donatello, Michelangelo, Raphael (“Sons”). Height: 5’ Weight: 75 lbs. Splinter has displayed no overt superhuman abilities. It is unrevealed whether his mutation into his more human-like bipedal form has removed the assets he possessed as a normal rat, or if they have simply been dulled with age. Splinter is a capable hand to hand combatant and a master of ninjutsu. His skills have atrophied as he aged, but he is still capable of battling full grown men to a standstill. Of perhaps greater value are his skills as a sensei and mentor. His training techniques have groomed his students into four of the deadliest ninja warriors known to man. Splinter’s greatest asset is his keen mind. Even as a “normal” rat he was able to learn ninjutsu through the simple observation and mimicry of Hamato Yoshi. Under normal conditions, Splinter can be found armed with only his walking stick. Splinter is a large, nearly human-sized, bipedal rat. His body is covered with a layer of greyish brown fur. His limbs are short and end in three fingered extremities. He has an enlarged snout, ears and a long naked tail. The only clothing that Splinter wears is a battered old red robe. He uses it to preserve what little modesty he has remaining. Splinter is a stern, yet patient, sensei. He had devoted his entire life to a single goal; gaining vengeance for his beloved master Yoshi. Once his sons had achieved this goal, Splinter found himself somewhat bereft of purpose. Therefore, he spent much of his time in meditation, contemplating his place in the larger scheme of life. 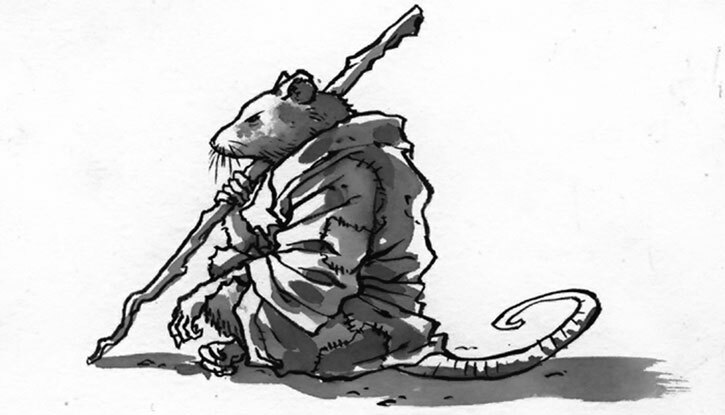 Splinter will often use his skills of stealth and deception to avoid confrontations and trouble. However, when forced to intervene directly in a situation Splinter acts with focused and precise action. He wastes little motion and attempts to defeat his foes with as little effort as possible. At heart though, Splinter isn’t the killer that he raised his sons to be. 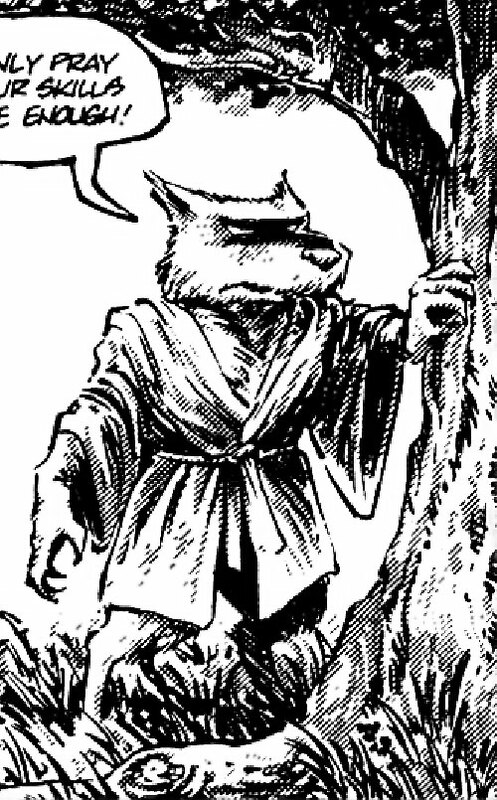 Outside of members of the Foot Clan, Splinter will avoid taking a human life if at all possible. Though Splinter is the head of his family, he allows his sons to take the lead and make decisions on their own. He rarely interjects unless the brothers are unable to come to a consensus on their own (i.e., they are about to come to blows). Or if their actions have become self-destructive. In those moments, he acts as both a wise sage and stern disciplinarian and brings their mercurial natures back in-line and focuses them on the task at hand. Familiarity (Japanese History, Ninja lore), Iron Nerves, Languages (Japanese), Leadership, Scholar (Martial Arts Training), Misc. : while Splinter is meditating, attempts to contact him through psychic means have -1CS to their OV/RV. 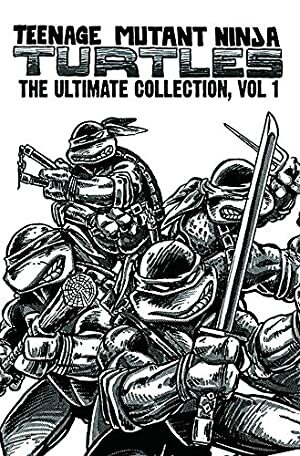 Leonardo (High), Michelangelo (High), Donatello (High), Raphael (High), April O’Neil (High), Casey Jones (High). Age (Old), CIH (Foot Clan), Mistrust, Strange Appearance. Walking Stick [BODY 04, EV 03 (04 w/Martial artist)]. 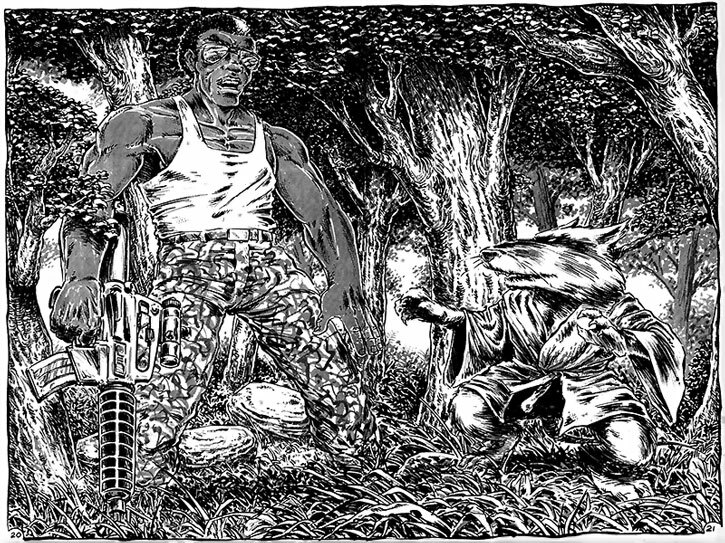 Splinter’s character and capabilities are perhaps the most obvious differences between the current IDW series and the original Mirage one. In the original series, Splinter’s age has definitely caught up with him. He was slower, weaker than the current series and one got the impression that he could not defeat Oroku Saki on his own. After all, if he could, why wouldn’t he have done so instead of training the Turtles and sending them after him. 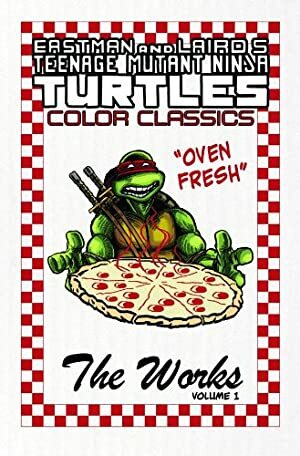 With that in mind, I’ve set Splinter’s overall stats in Martial Arts and Weaponry lower than Donatello’s. This actually puts him in-line with the ninja foot soldiers that have been statted on WORG already but less than the elite ninja hit-men that are contained in the same article.